Mon., 17 Jun. - Sat., 10 Aug. Mon., 13 May - Tue., 25 Jun. Mon., 10 Jun. - Sat., 31 Aug.
Wed., 19 Jun. - Sat., 10 Aug. Tue., 18 Jun. - Tue., 3 Sep. Tue., 11 Jun. - Tue., 3 Sep. Mon., 17 Jun. - Thu., 8 Aug. Mon., 17 Jun. - Fri., 9 Aug. Thu., 16 May - Sat., 8 Jun. Mon., 21 Oct. - Sat., 16 Nov. Mon., 22 Jul. - Tue., 6 Aug. Tue., 4 Jun. - Tue., 3 Sep. Sun., 21 Jul. - Tue., 6 Aug. Tue., 4 Jun. - Wed., 28 Aug. Mon., 16 Sep. - Sat., 12 Oct.
Wed., 19 Jun. - Thu., 27 Jun. Thu., 6 Jun. - Sun., 16 Jun. Wed., 31 Jul. - Thu., 15 Aug.
See all 220 properties in Guararapes Intl. 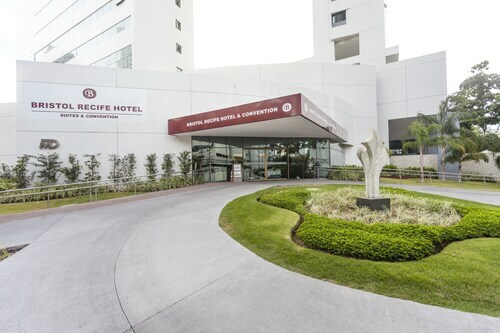 Located in Boa Viagem, this hotel is within 1 mi (2 km) of Boa Viagem Square and Boa Viagem Beach. Nossa Senhora da Boa Viagem Church and Dona Lindu Park are also within 2 mi (3 km). 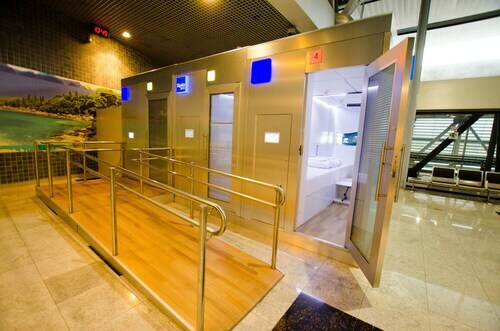 Airport Station is 10 minutes by foot and Porta Larga Station is 26 minutes. 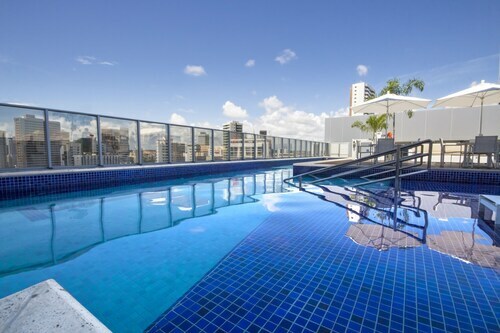 Located in Boa Viagem, this hotel is within 1 mi (2 km) of Recife Shopping Center and Boa Viagem Beach. Boa Viagem Square and Nossa Senhora da Boa Viagem Church are also within 2 mi (3 km). Antonio Falcao Station is 16 minutes by foot and Shopping Station is 24 minutes. 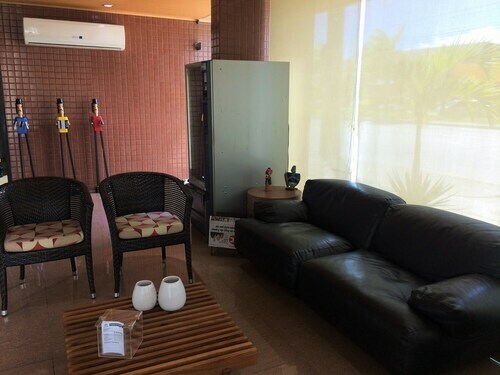 Located in Ibura, this hotel is 1.5 mi (2.5 km) from Boa Viagem Square and 1.6 mi (2.6 km) from Boa Viagem Beach. Nossa Senhora da Boa Viagem Church and Dona Lindu Park are also within 2 mi (3 km). Airport Station is 11 minutes by foot and Shopping Station is 30 minutes. Nestled on the beach, this Boa Viagem hotel is 26.3 mi (42.3 km) from Suape Port. Tancredo Neves Station is 25 minutes by foot. 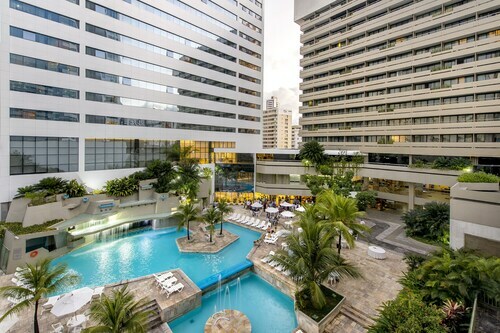 Located in Boa Viagem, this hotel is within a 10-minute walk of Boa Viagem Square and Boa Viagem Beach. Nossa Senhora da Boa Viagem Church and Dona Lindu Park are also within 1 mi (2 km). Airport Station is 22 minutes by foot and Tancredo Neves Station is 24 minutes. 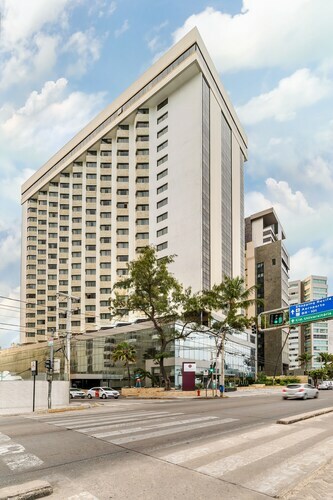 Located in Boa Viagem, this hotel is within a 10-minute walk of Boa Viagem Square and Boa Viagem Beach. 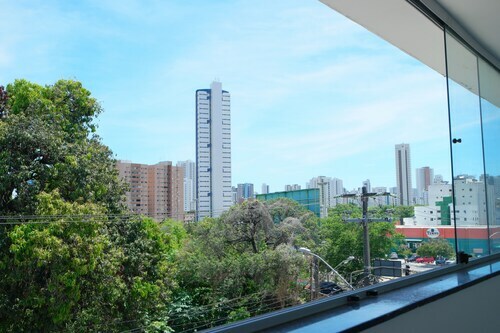 Nossa Senhora da Boa Viagem Church and Recife Shopping Center are also within 1 mi (2 km). Tancredo Neves Station is 24 minutes by foot and Airport Station is 29 minutes. 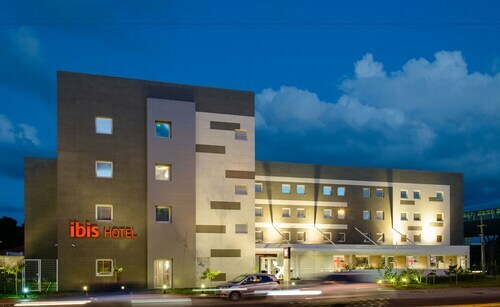 Located in Ibura, this hotel is 1.6 mi (2.6 km) from Recife Shopping Center and 1.9 mi (3.1 km) from Boa Viagem Beach. Boa Viagem Square and Nossa Senhora da Boa Viagem Church are also within 3 mi (5 km). Airport Station is 17 minutes by foot and Shopping Station is 19 minutes. Located in Boa Viagem, this pousada is within 1 mi (2 km) of Boa Viagem Square and Boa Viagem Beach. Nossa Senhora da Boa Viagem Church and Dona Lindu Park are also within 1 mi (2 km). Airport Station is 11 minutes by foot and Tancredo Neves Station is 24 minutes. Answer : Yes, you can switch your departure or arrival date. If you want to save a little money in doing so, the cheapest day to fly in April is Wednesday. Question : How much time do people spend in Recife? Answer : The average time spent sightseeing in Recife by passengers from Toronto is 16 days. Question : What is the cheapest airline flying from Toronto to Recife? Answer : Flight prices are hitting as high as $1,962 over the next three months when flying to REC from YYZ. Check out Copa Airlines, as customers have been buying tickets at just $1,108. Question : How much is a plane ticket to Recife (REC) from Toronto (YYZ)? Answer : Cost can range from $1,108 to $1,962, prices for YYZ to REC fluctuate less than most routes from Canada. However, usually the sooner you book, the better the price. Answer : The cheapest day to fly from Toronto to Recife is on Wednesday. If you would like to save a bit of cash on your next trip look for flights on that day. Question : What is the cheapest date to fly to Recife? Answer : As of Apr 15th, the best day for deals to Recife (REC) is May 6th. A ticket for this flight will run you around $1,108, which is 28% less than this route's average price.